Chiffon looks great and certainly feels comfortable from what I have gathered wearing my dress 2-3 times. I have seldom seen a dress that causes less and feels so good even after numerous washes. 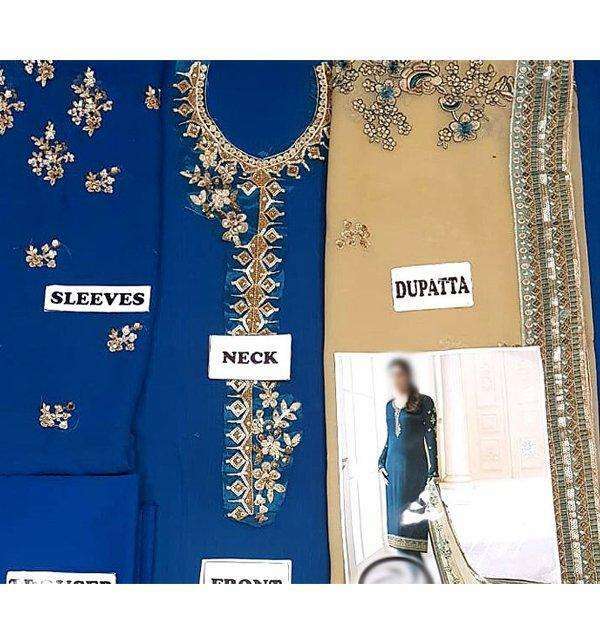 Mae nae navyblue embroided suit order kia that aap logo nae black suit articleno cC34,33bhaej diy usko replace ker daen mujae maera matlooba product bhaej daen. Hub TCS k envelope per maerE product ka no CHI -128 her likha tha is liyae him nae WO receive kia ager human pta hota k under khuch air hoga to hum pahlae khol k check ker laetae. Chiffon was always my favorite and remains to be the most liked dress by me and as there is no other suitable party wear I always opt for chiffon rather than lawn due to its ability to sine out.